An electronic shopping cart is simply a software program or code from a shopping cart provider that you can use on your website. This program or code allows visitors to select products and make purchases directly from you. If you’re selling anything online, you’re considered part of the ecommerce business arena, and you absolutely need an electronic shopping cart. So, you can either use a standalone piece of software on your own Web server or you can use code from an e-commerce shopping cart provider/service. Either way, you’ll be able to sell from your website. Along with its convenience, allowing you to sell digital and tangible products from your website, research shows that using an ecommerce shopping cart increases sales. In 2009, PayPal conducted an internal study of 79,000 small merchants. It was discovered that adding a shopping cart increased their PayPal volume an average of 19% over a two-year period. It’s important though to realize that the shopping carts themselves don’t process payments. It’s the service you use that allows the payment process to go through. I’ve used PayPal for quite a while now and can attest that it’s easy and effective. With the PayPal ecommerce shopping cart process, you create the shopping cart yourself. The instructions are simple to follow and you have a choice of using a single item Buy Button or a Drop-down Menu for multiple products or services. And, as with all services, there is a fee. PayPal charges 2.9% and .30 cents per transaction. That’s not bad for all you can do with this service. In fact, PayPal is so popular a number of ecommerce shopping cart services have partnered with PayPal for their payment process. And, you can accept payments with your mobile device through another of PayPal’s services. If you like the PayPal system, but would rather not have your customers sent to its site during the purchasing process, you have options. PayPal has partnered with several shopping cart services, such as Cashie Commerce and 3D Cart. Using another service has its benefits, one of which is keeping the buyer on your site through the purchasing process, but there’s a drawback to it, an additional cost. These services charge a monthly fee, along with a percentage of each transaction. This is on top of the PayPal fees. So, be careful when looking into this process. Be sure you’re making enough sales to warrant the additional costs involved. No matter which ecommerce shopping cart system you use, simple is the way to go online. You want the essential features in a shopping cart without making it too complicated to use. The process needs to be easy to use with clear instructions. If you haven’t yet taken the ‘sell on your own website’ move, get started now. Simply do an online search for carts or you can check out PayPal. Remember, nothing ventured, nothing gained. What type of shopping cart do you use? How do you like it? 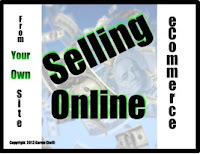 If you don't have a product to sell yet, you might want to create one of the simplest, an ebook. And, ebook expert Jim Edwards has just what you need. Over the last 14 years, Jim has written, created, and sold ‘millions of dollars’ in ebooks and info-products online. And, he has helped thousands of authors. Jim's reputation for writing and promoting ebooks online is legendary! Get your copy of How to Write Your Own Ebook in 7 Days and get started today! CLICK HERE. While this article focuses on authors, it's just as relevant to home and small businesses. It's all about the ability to promote your products or service to people/businesses. This article give tips on who those people and businesses might be and where you can find them. A few years ago, a prominent publicist gave a talk on the difference in philosophy between poor authors and rich authors. He started out by saying, "A poor author thinks that his book is all-important. A rich author knows that his list is far more important." What's your list? Your list is your contact list-the people that you can reach on email, or on Facebook, on Twitter, and so on. It's your platform. Most new authors don't think that they know anyone who would be interested in their books. They're wrong. • Who were your friends in elementary school, middle school, high school and college? Even casual friends may be interested to know that you're a published author. • Now, who are past neighbors and co-workers that you can get in touch with? • All of your relatives should be on your list-even great grandparents and that odd niece you've never met. That's a good start for a personal list. It will grow as you meet new people at your gym, through work, or while standing in lines at grocery stores. More importantly, you will grow your list as you set up your blog, begin using Twitter, join groups on Goodreads or Facebook, and so on. Later, you may collect names and email addresses at book signings, while giving speeches at libraries or schools, and so on. You would think that for a world-renowned author, keeping a list wouldn't be important, and it is true that you may reach a point in your career where your fame is so widespread that you don't need a list. But there are only a few people in the world with that kind of fame. Even #1 New York Times Bestsellers understand that having some way to keep in contact with fans is terribly important. If your publisher falls through on advertising, or if a novel is released at the wrong time of year, or if your cover stinks, or if you've got a novel that starts out with tepid reviews-it is your list that will save you. Having a crowd of people who care about your work will cover a multitude of disasters. It's not just that these people will buy your books. Many won't. But they may talk about it, or help spread the word, and some of your followers may be very influential in the publishing industry. For this reason, it's never too early to begin "growing your list." Dlavid Farland is an award-winning, New York Times Bestselling Author with over 50 novels in print. 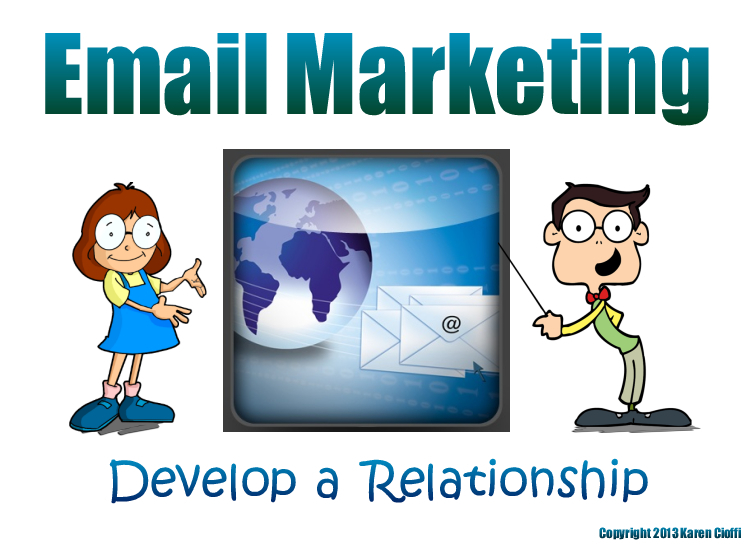 Want to Learn More About Email Marketing? Free, free, free. We all like free. Nothing guarantees lines of people queuing up like a table with free samples. Giving away free samples really gets our tails wagging, and our attention. Just the word "free" creates more excitement, and speaks to the child in all of us who wants a prize. Giving "free content", consultations, book chapters or webinars is a strategy we often suggest to our clients. Doing so demonstrates your expertise and helps build rapport with readers. Giving something free to reviewers, and interviewers can also develop great media buzz. What free content can you distribute? When visitors come to your website they can exchange their email addresses with you for your free item. Build your email list with whatever you can create that is free. You don't need to create something new just to give something away. What in your book lends itself to screen-savers, or downloadable prints? What in your book stands alone and can become a product, a chart, a graph, or a map? For fiction writers free can be a chapter, or excerpt. Do you have an ebook? Experiment with Kindle Select's free book days. One of our clients with a metaphysical memoir and very little effort had over 300 downloads in one day. Those 300 downloads led to some great buzz about her book and more sales of her book in print. Make a screensaver out of your book cover, or other images in your book. A screensaver acts as an advertising tool by displaying your corporate logos or showcasing your book. It includes different text effects allowing you to display date, time, or a personal message, in any font or color. Create an informational video with your webcam, post it on your website and any video supporting sites like YouTube. 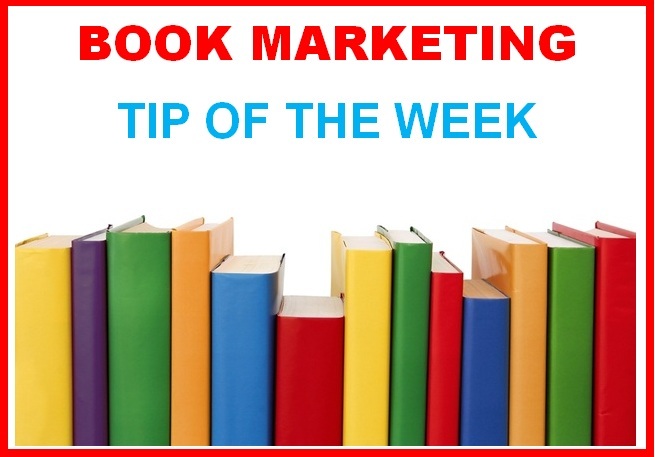 Use information or excerpts from your book as content. When you offer it as a free sample in exchange for someone's email, you build your mailing list. Offer mini consultations free. Hold virtual fireside chats where readers, or fans can ask you questions. Host a storytelling night and share excerpts and inspiration from your novel. One of our clients has a chart of our commitments to life in her book. She added one of her photographs as background and is giving away that chart on her website. New visitors come and download the print daily. Share on FB. That is always free. Share quotes, excerpts, and giveaways of your book on FB. Create a conversation with other authors who write about your topic. Their followers will learn about you, and your followers will benefit them. Create a 30 minute webinar on the material in your book. Host it as a weekly or bi-monthly conference call on free conference call or as a meeting on go to meeting. Change the topic once a month to keep people coming back to your website. Besides building a mailing list, giving away improves our karma, keeps people coming back to your website, and can generate some great buzz. I am a great believer in recycling. Think of your giveaway as a way of recycling your material and yet still keeping it fresh by creating it in another form. Keep people coming back to see what you are offering, they will become your fans, and maybe even your evangelists for your book. How many Harry Potter evangelists did it take to make a J. K. Rowling? Mari Selby is a contributing writer for San Francisco Book Review. For the past 15 years Mari has been the director of Selby Ink, a publicity and marketing firm. 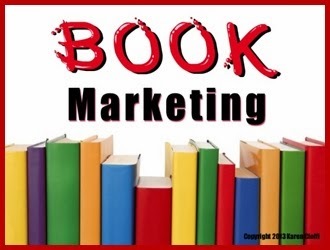 Selby Ink promotes authors who make a difference, and helps those authors to develop name recognition through traditional publicity efforts as well as social media. Selby ink specializes in the following genres: body-mind-spirit, relationships, environmental issues, and social justice. If you have written an article or story for a magazine, be sure it is prepared professionally so it stands the best possible chance of acceptance. It is tempting, in these days of easy communication across the world's internet networks, to become slack and send your work any old way. However, laziness will reflect poorly on you; and damage your credibility. First of all, do some research. Find out in what form the editor likes to receive submissions, digitally, or by conventional post. Don't just assume that, because most of the world is going digital, all editors want to follow suit. There's no point telling them they should 'get with it'; it is their choice. There are a few ways to find this out: (1) on the publication's webpage (if they have one), on their 'writer's guidelines' page (again, if the publication issues these), (2) sending for guidelines by post' or (3) phoning the publication and asking them directly. If the editor does want them sent electronically, you should then check to see if your submission should be sent as an attachment, or copied onto an e-mail. Attachments are easier for editors to write from, but they have also been more prone to internet viruses. · Type double spaced on A4 white paper. · Use black ink and a plain font. · Make sure you include an SASE for their reply to you. · If you have only a few pages they can be neatly folded, once only. Otherwise, use an A4 envelope. Regardless of whether or not you are sending your writing electronically or by snail-mail, however, there are some things that are the same. · Text should be unjustified; i.e. ragged-edged on the right. · There should be at least 25mm of margin on the left, head (top) and foot (bottom) of each page, which allows for editor's comments if or when it's printed. · Copying and pasting your ms onto the body of the e-m will change some formatting, so check it and reformat if necessary before sending. · Each page should also have your name, and title (in brief, if you wish), and chapter if relevant, preferably as a 'header'. · The final page should have: 'the end' or 'copy ends' at the bottom. · Quotations should be indented, italicised, in smaller point size, or identified as such in some consistent manner. 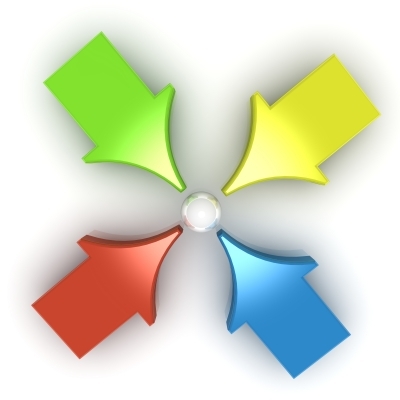 · Be consistent with use of double and single speech marks. · Be consistent with such things as bibliographic references. · Pins or staples should not be used to hold pages together. · The whole ms should arrive on the editor's desk at the same time - not in sections. · If you are sending photos, make sure they are named clearly, with captions included for each one. (I write on a sticker, and then place it on the back of the photo, to avoid damaging the photo). Note clearly on a separate page how many photos you have and the name of each one. If you are sending your item by e-mail; draft and complete it on a Word (or similar) document first, making sure it is properly formatted, then copy from it. Whatever you do, always make sure you save and back-up your work! This is best in both printed and electronic versions, regardless of whether you send your article or story by post or internet. Twenty-three pages of self-editing tips and tricks. This is an editing tool that you will use over and over and over. 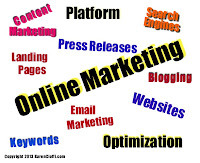 Your author or writer online platform is all about numbers and reach. It’s about how many people are aware of you within your niche and how many of those people think you have authority within your niche. In other words, it’s about how many connections you have. You might equate it to a popularity contest. Unfortunately, there are millions of contestants in the online platform arena trying, as you are, to get the golden subscriber email address and get the emails they send opened. Because of the sheer number of marketers, people are bombarded with marketing emails on a daily basis. This in turn has caused a drop in email opt-ins and a drop in marketing email open rates. So, what can you do to fight the odds and keep moving forward to reach your goals? There are four strategies you can use to keep you connected to people and keep you on the visibility radar. You need to connect with your subscribers and target market on a regular basis. This doesn’t mean adding to the email inbox bombardment, it means to be visible in multiple places. How many times a week are you connecting with your subscribers and your target market? Are you taking advantage of the different venues you can reach people? Are you being active in groups? How about social media, such as Facebook, Linkedin, GooglePlus, Twitter, and Pinterest? Are you offering valuable information on a regular basis? Each of these connection venues is another layer of visibility and familiarity. This frequency helps establish a relationship and helps it grow. Everyone when first starting a platform is determined and motivated. You diligently keep on top of social networks, blogging, article marketing, sending out a newsletter on a regular basis, and so on. But, then, when results aren’t what was expected or don’t come quick enough, the motivation and effort slows down. Well, being consistent is what will help you reach your goals. In fact, without being consistent you most likely will never reach your goals. Coleman Cox says it best: "Even the woodpecker owes his success to the fact that he uses his head and keeps pecking away until he finishes the job he starts." Create a plan of action steps and stick to them. Be consistent. According to pro-marketer Travis Greenlee, statistics show that published authors have a 300% higher credibility rating than non-published authors. That’s quite a difference and gives the published author a big advantage in authority. 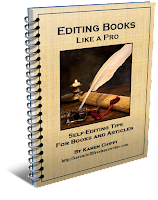 If you’re not published yet, a quick remedy is to create an ebook and get it out there. With that said, your ebook needs to be a quality product. But, having an ebook isn’t the cure-all. In addition to this, you need to deliver quality (useful) information to your target market on a regular basis. The point here is that you need to be perceived as a person of value to your target market. Your actions and offerings need to demonstrate that you can help them with their problem, need, or want. If you are perceived as having high authority (knowledge and experience) and value (capability and usefulness), people will want to be connected with you. Visibility and frequency go hand-in-hand. While you need to make frequent connections, you need to know where and how to make those connections. That’s where visibility comes in. How many different formats are you using to be visible to your connections and make new connections? • Creating e/books, reports, etc. You get the idea. Keep it fresh. Don’t use the same formats to bring information to your subscribers, readers, and visitors. With email marketing wavering, you need to use all four of these strategies to keep your online platform moving forward. For those speakers and authors who haven't developed a product yet, the easiest way to start is to record every talk, every article you write and even interviews can be a product. When it comes to gaining experience in selling back of the room products, belonging to organizations such as the National Speakers Association is seeing how others do it and what styles suit your personality the best. The education of being a member of these types of organizations is priceless. A couple of my favorite speakers who is was able to pick up great tips are Brian Tracy and Harv Ecker. Brian has the best techniques of referring to his material. He'll pick up his book, open it to a specific page and refer to a very important point. Then mention that if only that one detail was to be applied, imagine what impact that would have on their income. Harv is a master of delivering educational tidbits and then involving his audience in the next step: buy product or sign up for a program! Often event planners won't allow you to sell your materials, but another national speaker that has a great technique is Tom Antion. He was told that he wouldn't be able to sell his books to an audience of 400 people. So he placed a book on every chair and told the event planner that he needed to refer to his book throughout his presentation. After he was done more than half of the audience insisted on purchasing his book, what was he to do? The event planner relinquished and he nearly doubled his fee for the day! When you want to create multiple products you can start with an audio program. It could be an interview from a peer, reading your material using your computer's media equipment or a recording of a speaking presentation. Then after several presentations and personal stories from speaking engagements there is more than enough material to create to a book. Interviewing other professionals is a great way to create multiple CD's. Depending on the industry someone is in, there are probably 10-15 specific experts that could be selected to participate. That would make a great package for anyone interested in that industry. We know that books are the best selling item at speaking engagements, but if you don't have your own book you can start small. Think in terms of a booklet then expand it as you go along. After speaking for 6 months to a year, it is easy to generate more than enough material for a book. The stories speakers develop from being out in the field make for great reading material. It only takes 4 to 6 weeks to write a book if you take one hour a day to write it. It takes about 2 ½ hours to write each chapter. I think the editing should initially be done by friends, family and anyone who is willing to read the book. Then when the book flows well, have a professional editor go over it. There are other methods I have found to encourage people to come back and purchase additional products. Some of the major speakers refer to their material every 30 minutes. I'm not sure that the audience doesn't begin to take offense to be sold to. I prefer to make my presentations strong enough that the value of my books are obvious. The most effective method I have found is using the example of reading specific areas of the book which prove the value. You also want to make sure to collect email addresses at your speaking events. Every speaker knows that their email database controls their income to a great extent. When speaking in a specific city, advance notice and special offers can be sent to the database members in that area. One of the concepts you want to become good at is Podcasts. They are extremely popular because people can download them to their iPods and listen when it's convenient. Many speakers generate a rapport through their blogs and ezines and both are great ways to generate more interest in their perspectives. Membership sites are more and more popular and the larger your database, the more income you speaker can count on. The general rule of thump is that every name in your database is worth $1 a month (10% will spend $10/month). 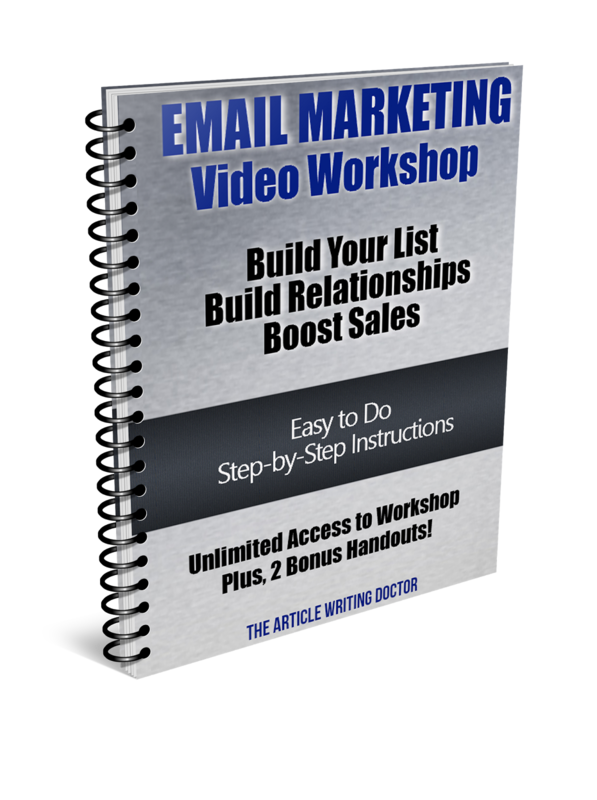 The easiest method of gathering the emails is to offer a door prize of their choice. I'll usually pick up business cards from at least 80% of the audience. Then the first email I send to them is to offer them something of value for free and ask that they sign up on my website capture box to receive information in the future. No matter how good the speaker is or how great their information, not everyone is great at selling their products. Remember why you are speaking and what you initially wanted to accomplish with your material and be authentic. Your audience will feel it from you. The best technique I have seen however was the speaker asked every to stand up if they would be willing to pay $20 for his CD. Then he asked those who would pay $40 to remain standing and so on until one person was left who agreed she would pay $1,000. Then the speaker said he had a very limited number of CD's, but for the first few who went to the back of the room, he'd sell the $79 CD for $20. At least half of the 500 member audience rushed back to get their copy! 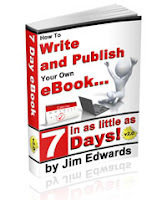 Get your free book on how to write your book in 1 hour a day in 4 to 6 weeks. Go to http://www.authortrainingprograms.com by Sharyn Abbott. 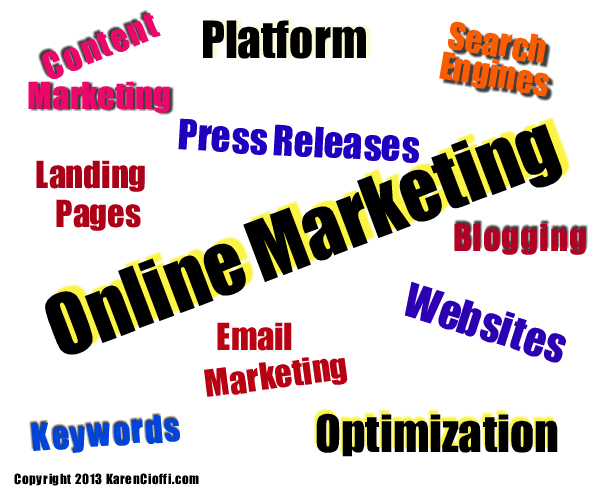 Online Marketing – Is Blogging Worth the Time and Effort? Angela Joseph is promoting her book Women for All Seasons. Since book signings are a part of the book marketing process, Angela has some tips to help you prompt your book. I have put book signings and other events for Women For All Seasons on hold for the moment while I focus on my novel in progress and freelance writing. My last book signing was at a place where women gather – my daughter’s beauty salon. The event was not publicized as well as I’d hoped, but since it was a Saturday, there was a fair amount of traffic and I ended up selling 8 books and giving one away. 1. Location. It doesn’t have to be a bookstore as you can see from the example above. It can be a setting that ties in with your niche market. 2. Start local. If you start in your hometown, you are more likely to get a good attendance. 3. Advertise. Goes without saying. Ask your friends to help you spread the word. 4. Be creative. If your book is a novel, you can dress up like one of your characters. In the photo, I tried to look like a Jewish woman. 5. Don’t forget the freebies. Bookmarks, buttons, fridge magnets with your book cover on them, even your laminated book cover, are all inexpensive giveaways. I also included a plate of cookies and water. You may also purchase a copy of the book from Amazon. Angela, it was a pleasure being a part of your book tour. Best Wishes for its success! The article link below is one of my guest posts at Inkwell Editorial and while it's written for the freelance writer in mind, it's just as relevant to authors. Writing and marketing go hand-in-hand. Marketing relies on writing and a writing business relies on marketing. As a freelance writer or author, ranking with Google should be a BIG element in your marketing strategy. The better you rank, the higher your authority and better your SERP. 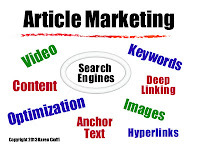 SERP is an acronym for search engine results page. This is the page a search engine will send a person (a searcher) to when he enters a search keyword or term in the search box. Ideally, you’d like to be on page one of the results, but if that’s not realistic then page two or three, after that, your chances of being found are slim to none. If you're like me, you rarely go past the first SERP. This means it's really important to rank as high as you can. I do occasionally go to page 2 on the SERP, but I don't think I've ever looked at page 3. With economic times as hard as they are, many publishers are cutting costs every way they can, and that means dropping paid writers, cutting back on the number of submissions they accept, and seeking donated content. And if that isn't bad enough on freelance writers, there are hundreds of new websites and online publications popping up every month asking for content in exchange for a byline. It can make finding paid work as a freelance writer feel impossible. With the right strategy, however, you turn those free writing opportunities into free advertising opportunities and all it takes is a little planning. I am not against writing for free, but I do believe there has to be a good reason for doing so. 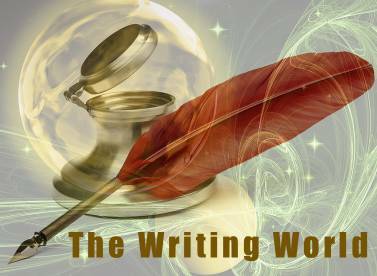 The problem with writing for free is that it can be a double-edged sword. On the one hand, it has the possibility to open many doors. On the other hand, the time you commit to writing, for free, takes away from time that can be used for finding paying assignments. The key to writing for free is to do so ONLY when it's in YOUR best interest. Write for free to promote yourself: your skills, your speaking, your workshops, your book, your product, or your business as a whole. Write for free to help establish yourself in an industry, or a niche, but don't write for free if the content you are writing does not market YOU in some way, shape, or form. 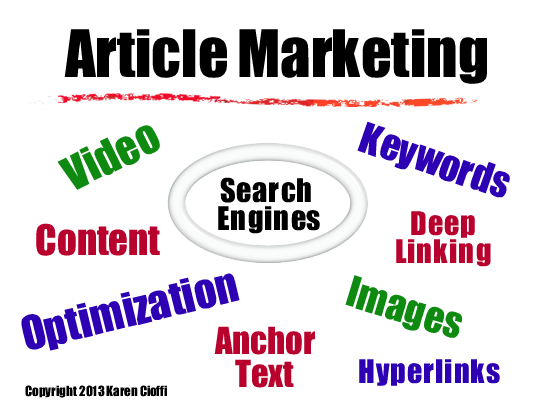 As you become the "expert" on a specific niche, or in a specific industry, others will request your expertise in the form of an article, guest post, or interview... all of which can take precious time away from your business. Don't lose sight of your overall goal to make money, build a reputation, and expand your business. 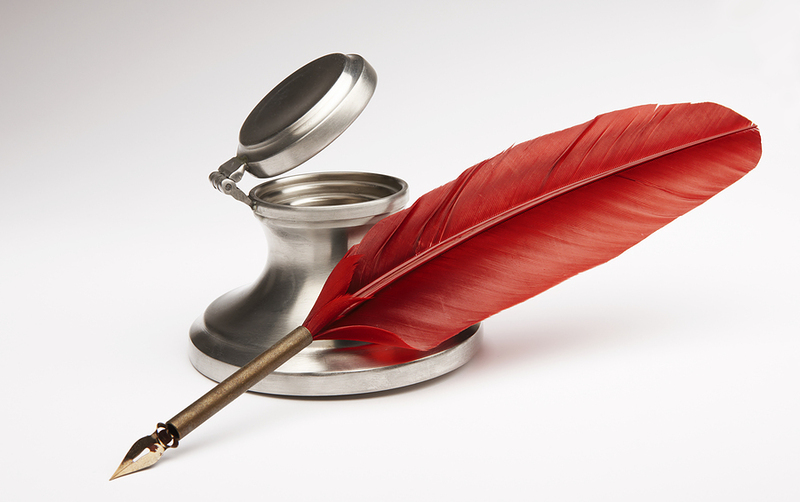 by putting a cap on how much "free writing" you will do each day, each week, or each month. Just including your name on the article is not enough to write for free. You need a byline, below the article, that gives readers a reason to seek you out. Your byline should include your name, your website address (or other contact information), and a brief, but enticing 2 to 3 sentences. As your business grows, and your time is in more demand, you won't always be able to write new content, or accept interview opportunities with small-time bloggers, but that doesn't mean you can't help them out and get a little coverage in the process. By creating an archive of your past contributions, you can continue to offer guest posts and reap the benefits of article marketing. Your archive could be a page on your website listing the name of an article, along with a 2 - 3 sentence description that could then be retrieved via an autoresponder, or it could be a blog dedicated solely for the use of reprinting. Or you could simply refer inquirers to your page on one of the online article directories. Again, once your time becomes limited, writing original material for free, may no longer be an option. When approached for free content, let the inquirer know that your time is sparse and while you love the idea of writing a column, you no longer have time to commit to non-paying gigs, but that you have a syndicated column available for a nominal fee-even if it's just a $5 reprint fee. The important thing to remember about free content opportunities is that they must, in some way, benefit YOU! So stay focused. Develop a business plan, then make sure you stick with it. Alyice Edrich is the author of Tid-Bits For Marketing Your Business With Articles. Build a name for yourself through viral marketing tactics that won't cost you a dime-just your time! Visit: http://thedabblingmum.com/ebookstore/business/marketarticles.htm to order a copy today! You have an amazing idea for a story or article, or a blog post. Maybe it's about your business or product. Maybe, it's a novel . . .a mystery novel. It might even be a children’s middle grade story. You know what you want to say or convey, and you start typing away. This is the beginning of every story. But, we should backtrack a moment and go back to the idea. I'll use fiction writing as an example. The idea: your protagonist has a problem or conflict and you can see how each chapter or section will be worked out. You are sure you can bring your idea to full fruition without the use of an outline. Okay, that’s fine; many writers use the seat-of-your-pants writing method. So, off your mind and fingers fly . . . creating something from nothing . . . well, not exactly from nothing, from an idea. This, again, is the beginning. You type a draft of your story. How long this process will take depends on how long your manuscript will be. Take note, though, even if your story is as short as a children's picture book, you still need focus in your writing. This holds true for content writing also. If it's a blog post, web copy, a product description . . . you get the idea. You need focus in your writing no matter what the genre or niche. According to Merriam-Webster, focus is a “point of concentration” or “directed attention,” and this is what we need to have in our writing. Focus is the path you’re on that will take you from point A to point B. It’s the path from beginning to end that keeps the story together, with directed attention, and wraps it neatly up. An example might be an ice skater whose goal is to become good enough to get into the Olympics. His focus will be to train vigorously to accomplish his goal. Another example might be that of a school bus on its route to pick up children and bring them to school. The shop is where the bus begins, point A. It will end up at the school, point B. But, between point A and point B, the bus must deviate from the direct path in order to pick up each child. The same holds true for your story. There is a path or focus the story needs to follow to accomplish its goal. If you deviate too much from this path your story becomes diluted or weak. This is not to say you cannot have subplots, it means everything needs to be tied together moving forward on the same path toward the same end. It needs to be focused. Using an outline can often help with maintaining focus, even with a short story or blog post. An outline is kind of a writing GPS that guides you along the way, to a focused ending. It allows you to stray here and there with the comfort of knowing that you need to be at certain points throughout the manuscript or content. It’s a reminder to keep you focused. Note: An outline for a blog post might be a template you use for particular formats .